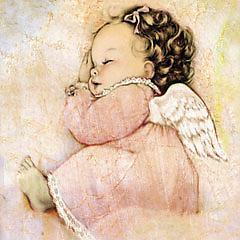 Alexandria Isabella Garcias, infant daughter of Tiffany Reece & Ricardo Garcias of Lanett, AL was born into Heaven on Monday, October 29, 2018 at East Alabama Medical Center at Lanier in Valley, AL. Graveside services will be 3:00 PM EST on Thursday, November 1, 2018 at Johnson Memorial Gardens in Valley. Visitation will be from 2:00 – 3:00 PM EST at Johnson Brown-Service Funeral Home prior to the service. Survivors include her mother, Tiffany Reece; father, Ricardo Garcias; twin brother, Ricardo Junior Garcias; brothers, Manule Trejo, Victor Garcias Alvarado; sisters, Cytlaly Garcias Alvarado, Makayla & Maria Trejo; grandparents, James & Angela Reece; Porfiria Lopez Alvarez, and Santana Garcias Hernandez. Please visit www.johnsonbrownservicefh.com to sign the online guest book. Johnson Brown Service Funeral Home of Valley, AL Directing.